The above is an excerpt from the catalogue of Cookbook, Art and Culinary Process, an exhibition curated by Nicolas Bourriaud at the Paris École des Beaux-arts. In it, he explains, culinary art is put “to the test of the exhibition space”: a fascinating exercise to study when you’re reflecting on a way to put perfume to a similar test. I’ve always found Bourriaud, who is an old friend, receptive to my musings on the matter. In his essay, he draws a comparison between the perception of film prior to the Cahiers du Cinéma’s politics of the auteur, and the current artistic status of, respectively, cuisine and perfumery. 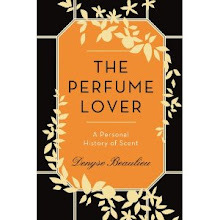 Cuisine, he writes, “is not yet thought about in aesthetic terms because it is perceived like cinema used to be, as an industry, a leisure activity and a craft.” It’s a line of reasoning I’ve also applied to perfume in my book, and developed further in the French version. Cuisine has had its auteurs since the 1980s, as the maverick food critic Andrea Petrini points out in another essay of the Cookbook catalogue: “artist-chefs” like Pierre Gagnaire, Alain Passard, Marc Veyrat and Olivier Roellinger, who developed not only an intensely self-referential stylistic vocabulary, but also increasingly elaborate narratives about their terroir and even a “theoretical” discourse. Like contemporary artists, this generation of chefs knew their work would “sell” better if it came with its own commentary. In this respect, chefs are decades ahead of perfumers (staking a claim to the auteur status is much more easily accomplished when you’re your own boss). One of the few perfumers who’s actually managed to earn a similar position is Jean-Claude Ellena. Hermès has afforded him enough artistic freedom to cultivate his own style – indeed, Ellena’s self-referentiality is a key element of Hermès’s olfactive branding strategy. He has framed his approach within a narrative, both in his own books and in Chandler Burr’s The Perfect Scent. He’s exposed his theory of perfume composition, and his body of work has generated a critical apparatus – surely there has never been a perfumer whose oeuvre lent itself better to the exercise, since he himself delivers the keys to understand it (you could also say, conversely, that his prose is so limpid it short-circuits critical discourse: what can you say after it?). Both Jean-Claude Ellena and Olivier Roellinger therefore have similar statuses in and approaches to their respective fields, straddling the gap between art and perfumery/cuisine. People who knew them both were convinced they’d get along marvelously. And they were right: their meeting yielded a genuine bromance, which in turn gave birth to the latest Hermessence, Épice Marine. The scent was inspired by the chef’s work: his particular way of combining the produce of his native Brittany with the spices his corsair ancestors brought back from all over the world. It was elaborated as an exchange between the two friends, Roellinger supplying suggestions and testing the mods. Ellena seldom mentions raw materials when he presents his new compositions, but in this case he does, since the different elements appeared over the course of their conversations and correspondence – Roellinger, who had to forego the pressures of working as a starred Michelin chef after a major health issue, he still creates spice blends and travels the world to source his materials, another crossover between the chef/in-house perfumer narratives. “Narrative” is the key word here. In Épices & Roellinger, the “corsair chef” unfolds the wonderful stories that led to his conceiving each of his spice blends: his accords are dictated not only by their formal qualities, but by the history of spice roads, explorers and corsairs, and by Roellinger’s own stories – his roots in Brittany, his seafaring ancestors, his trips. I remember thinking, while reading the book, that all of these could be about perfumes. That this was the way perfumes should be created. Not only Roellinger’s stories authenticate his blends, which comes off as somehow more genuine that most perfume backstories since he can fully sign them, but they add an extra dimension to them. You’re not only eating something delicious; you’re aware of savoring a history, interpreted by contemporary mind. 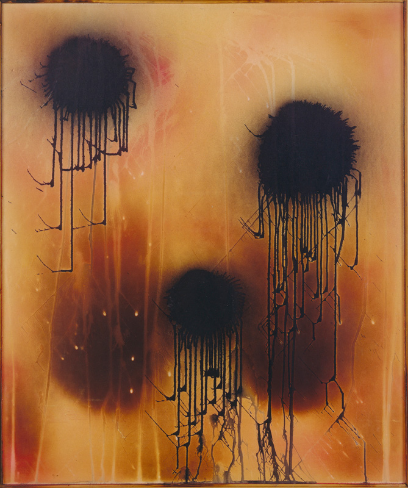 Though Ellena has often exposed the process behind his compositions, it is also the first time he supplies a journal with the press material: an extension of his parallel career as a writer. 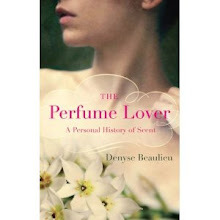 More than in any previous composition, this story is part of the perfume. In fact, Roellinger himself is the most significant ingredient of Épice Marine. In the same way, perfume is not solely an olfactive form. Increasingly, brands go beyond the commercial setting and packaging to script the “mode of consumption” of a fragrance by displaying its “mode of composition”. They show the author and the process, an approach reminiscent of today’s open kitchens in restaurants. The most auteur-oriented brands have also been supplying texts –Serge Lutens’ cryptic prose and Jean-Claude Ellena’s limpid journals being the most significant. Not press releases, which marketing services usually put together according to a format so strictly coded they end up saying nothing except their press-release-ness. But an integral part of the work, without which it would lose part of its effects and resonance. In this case, the story of the development of the fragrance is embedded into the story of the two men’s friendship, in turn embedded into their respective stories. A double mise en abyme – the French term for “reflexive embedding”, such as a play within a play, could be literally translated as “put into the abyss”. An apt term for a scent named after and inspired by the sea, with a marine note. Now, does Épice Marine – the actual scent – live up to its story? First off, in case that “marine” bit got you worried: no, this is most emphatically not an aquatic. Not a cucurbit in sight. The marine note is supplied by an old synthetic called algenone, which Ellena describes as “green, lively, biting and salty”, smelling of algae (obviously) but also of “lilac green”. Of course, this would be quintessential Ellena: utterly delicate, fresh, woody, ethereal. An overdose of bergamot stands for the bracing quality of the Atlantic wind, carrying a slightly nose-tingling whiff of his “oceanic spice bouquet” – Sichuan pepper, Jamaican pimento, cardamom and a roasted cumin, a treatment of the spice Roellinger introduced to Ellena, which rids it of its sweaty facets and adds a roasted sesame seed facet. The spices introduce woody-smoky notes centered on Islay whisky (more specifically, Bruichladdich, which Roellinger suggested). But again, this isn’t a full-on boozy note: rather the impression you could get from sipping from a glass whose inside had been sprayed with the whisky. A subliminal suggestion of whisky, softly smoky, peaty and iodic. I’d love to conclude these musings with a blindingly insightful comment, but I think this is just a start on a train of thought about perfume, cuisine and art. Besides, it’s got me working up an appetite. Open Tuesday to Sunday from 1 to 7 p.m. Illustration: Untitled Peinture de feu by Yves Klein, 1962 (not shown in the exhibition, just my pick, though since it's about burning it does have something to do with cuisine). In his journal, Ellena gives elements of this whisky accord: nerolidol, orivone (an iris-woody-camphoraceous-earthy molecule), birch tar, a trace of absinth and rum, phenyl ethylic alcohol. I had dinner at Roellinger in Cancale, some years ago- the vision, the taste and the smell of his rendition of a "Tonkin soup", with tiny beautiful iridescent shells floating in the broth, are one of my fondest culinary memories. A more recent visit to one of his épiceries in Paris has filled my nostrils with pure bliss... I really should try the Hermessence line, I've never smelt one of them- this one seems just a must try for me! Iodine, I think eating at Roellinger's Maison de Bricourt is something any food lover owes to herself. The dishes are not only delicious, but poetic. I've become quite addicted to his Parisian spice shop as well -- I've bought at least five blends, and almost not a day goes by without my using at least one of them. The Poudre des Bulgares is amazing on yogurt. So now we need an English translation of your French edition? Guess I couldn't pass up the opportunity of revising a few of the more historical and/or theoretical pages, especially since I'd done more thinking and reading between handing in the English manuscript and working on the French. In the latter, I refer to Serge Daney, a critic who hasn't been translated into English, that French readers of a certain vintage (he died in the 90s) would be more aware of. The reference would have had much less resonance in the Anglo-saxon sphere. It has that same spiced bitter orange that's in Bigarade Concentree, which I adore. Anonymous, I find the citrus much more prominent that the story would lead us to expect. It's really quite delicious. Denyse, I also got the Poudre des Bulgares, which is great, as you noted, and so useful. Also the Ras el Hanouth de Fatema Hal - I had always wanted to try a real, complex Ras al Hanouth, and it is WONDERFUL. The other is Poudre Gallo, which I haven't cooked with yet; it sounded so of the place.